Starlight is awoken from her mid-day nap by Trixie, who soon demands she take her to get gauges to match Starlight's own. Trixie is afraid of needles. This story takes place in an alternate universe where everyone is human and around college age. This isn't an Equestria Girls story. Once again, special thanks to hazeyhooves for being my editor. Couples fight sometimes. Sadly, that's how it is. What matters isn't if you fight, but how you're able to make up and grow from it. A year into their relationship, Pinkie Pie and Rainbow Dash are about to learn this lesson. Starlight Glimmer is the guidance counselor at Twilight's School of Friendship. Since Cozy Glow, she's had students come in every now and then with small problems. Which is well and good, but mild grievances are solved pretty quickly. So while of course she's glad she's needed to some extent, Glimmer does wish her workdays could be a little more eventful. What'll she do when one day a young filly by the name of Water Lily comes to her with an interesting question. "How do I make mommy love me?" What's one of the more embarrassing things you could ever have happen to you? Getting a wingboner in front of all your friends seems pretty high on the list. Twilight is of course grateful for her wings, but they do have their downsides. Lucky for her, a good friend won't mind comforting you even under such awkward circumstances. Tempest and Twilight have a short talk about Tempest's past transgressions, and how she's redeemed herself. Twilight managed to pull some strings and get Tempest into the royal guard, not just as a soldier, but as a captain. Tempest is grateful, but really doesn't believe she deserves the position. Maybe Twilight could convince her otherwise. 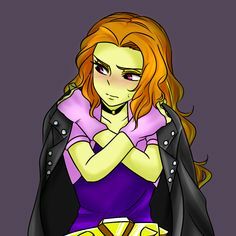 Adagio is found sulking in an alley by a one miss Sunset Shimmer. Sunset manages to invite Adagio into her home for a friendly talk. The Dazzlings have had it pretty rough since their defeat, and Adagio is teetering over her breaking point. Could Sunset maybe get through her tough exterior and convince her she's in need of help? Cute ship though. Not my favorite Sunset pair, but it's cute. Pinkie and Dash have been very special someponies for a while now. Pinkie has been thinking about how she wants their relationship to go to the "next level." She has no idea how to approach Dash on the matter though. So she goes to Rarity for advice.